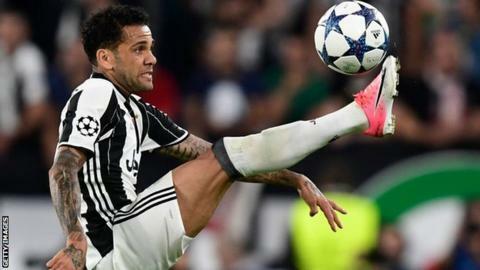 Manchester City have missed out on one of their summer transfer targetsafter Brazil full-back Dani Alves joined Paris St-Germain on a free transfer. Tottenham's Kyle Walker remains City's top target at right-back. The club are understood to be relaxed about the situation despite the fact they will leave for a three-match tour of the United States - featuring matches against Manchester United, Real Madrid and Tottenham - on Monday. "Believe me, I am coming to Paris to win," said Alves, who is the 30th Brazilian to play for the Ligue 1 club. "In recent years, I have been able to gauge the incredible growth of this club, which has become a European football powerhouse. It's very exciting to now be part of this great project."